As of October 1, 2015 the Payment Networks’ liability shift has officially been in effect. For businesses that accept magstripe credit cards, this means that the liability for accepting fraudulent transactions has officially shifted from the bank to you. Credit cards traditionally have come with a magstripe which is “swiped” to process individual transactions. Now, EMV (EuroPay, Mastercard, and Visa) chip cards have replaced traditional magstripe cards with an embedded chip. 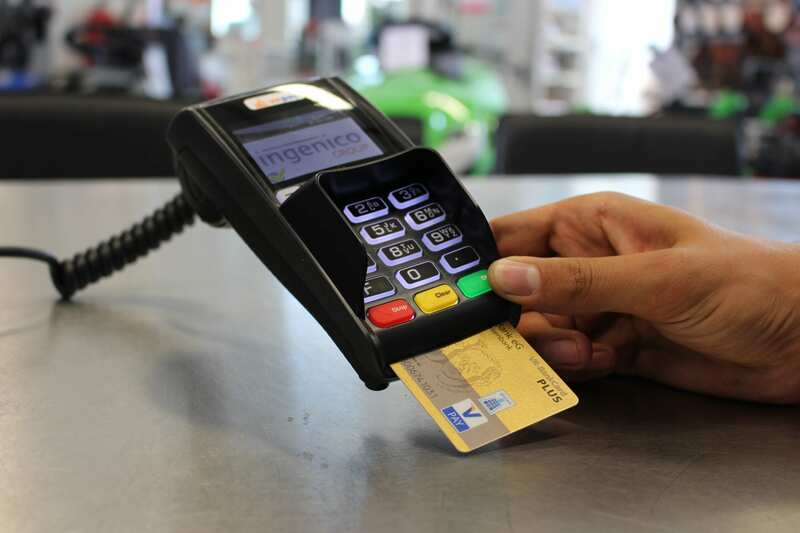 EMV chip cards are “dipped” in a credit card reader for the duration of the transaction, in contrast to the traditional single swipe of the magstripe. The main driver behind the EMV migration is card-related financial fraud. Despite the best efforts of global law enforcement agencies, global losses have risen steadily, increasing pressure to find a global solution. Annual costs of card fraud in the U.S. alone are estimated at $8.6 billion per year. Experts believe that figure will rise to $10 billion or higher in 2015, especially if the U.S. does not make significant progress with chip card adoption (courtesy of paymentsleader.com). What type of terminals do I need to minimize liability? While there are many options, we’ve specifically worked with businesses who have chosen the units below – made by Verifone and Ingenico respectively. With clear, colorful multimedia promotions shown on a stunning 7″ color display – merchants can dazzle customers with graphics promoting the latest products and offers. The high-speed powerful processor and generous memory allocation supports full studio showcase promotions and video advertisements to help boost sales and levels of service. 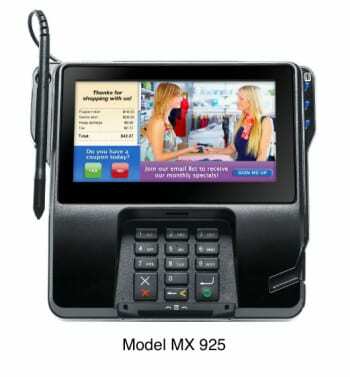 The MX 925 engages consumers with streamed media and visual promotions to encourage consumer ­­­interaction and support loyalty and promotional programs. View the Model MX 925 datasheet here. When considering Ingenico units, the model iSC Touch 480 shown on the left has proven to be a preferred model. The iSC Touch 480 meets the latest hardware and software security requirements and is PCI PTS 3.x & 4.x certified. It also complies with SRED and Open protocol modules. 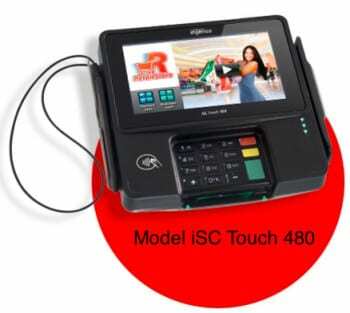 The iSC Touch 480 supports all point-to-point encryption (P2PE) solutions for reduced PCI DSS scope, and an optional PIN shield is available for enhanced security. The iSC Touch 480 offers an impactful, extra-large 7” 16/9 WVGA capacitive color touchscreen, which enhances interactivity and customer engagement. The powerful hardware video decoder plays multimedia content from the standard ultra-compressed H264 codec via speaker and stereo out headset. View the iSC Touch 480 datasheet here. How does Krengeltech help IBM i businesses with EMV chip card terminal implementation? Payment Terminal Toolkit for i. A tongue-twister of a name, but a surprisingly straightforward and safe tool to protect you from liability when accepting payment in EMV chip-card readers. PTTi makes it simple to integrate with the EMV chip reader on your payment devices, helping you ensure compliance with the payment liability shift. Compatible with Verifone utilizing subprocedures from native RPG, Payment Terminal Toolkit for i reduces points of failure by running your transactions entirely from your IBM i without third party dependencies. Additionally, there is no specialty Point of Sale software that you have to use with Verifone or Ingenico software. Instead, PTTi integrates directly with devices software to save you time and money. We are currently in the process of making PTTi compatible with Ingenico devices and plan to add that to our PTTi product offering during the first half of 2017*. Don’t ignore the warnings. Stay a step ahead of the game with PTTi and protect yourself from liability in EMV payment terminals. Have existing EMV chip card terminal implementation needs on IBM i? *If you have an immediate need for PTTi compatibility with Ingenico software, please reach out to us and we can work with you to meet specific timelines. We currently use an IBM i for our POS systems. Our POS systems are written in house in RPG and we are currently looking to use either the VeriFone or Ingenico Payment terminals with our current environment. As an options we are looking to determine if there is an api written for the IBM i that will allows us to call this in our RPG program and have it communicate with the selected terminal. After review you website content it sound like this is something you offer, I would like to learn more about you software to determine if this will fit our needs. Please let me know if we can setup a call to confirm our options.